GUSTAV and Anezka came to Aalborg in early March 2014. 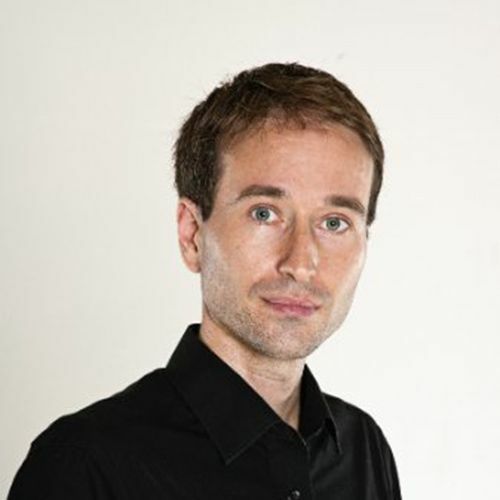 Gustav is a trained psychiatrist and currently works at Aalborg University Hospital. Gustav is from Slovakia and Anezka from the Czech Republic. They both went to Madrid, Spain in September 2013 with their little 11-month old daughter Berenika. Gustav was to study Danish at MediCarrera’s intensive Danish course, but Anezka did not attend the intensive course, as she was pregnant with the couple’s second child. Today the couple does not regret that Anezka did not attend the intensive course, and she is sure that she will learn Danish in Denmark. Among other things, MediCarrera offered her a short course in Danish via Skype after the arrival in Denmark, while she waited for little Kristian to be born. Her first task in Denmark will be to learn Danish, and then she is sure that she will find a job herself. The couple lives in Aalborg, where they have already moved into a small house, after only three months, in the neighbourhood of Visse. We talked about it for almost two weeks. For us, it has never been a question of money, for example. What we were looking for, was a country where there was time for the family, and good education and health care systems. We found all that in Denmark. Here we can work less and earn the same. This means that we have more time for each other and for our children. This is very important to us. Is your professional life different after you have come to Denmark? How about the Danish language? Do you feel well enough prepared for the job? “Yes, definitely. I can have conversations both with my colleagues and with patients. After about 7 weeks I had my first patient, and in fact, I have only experienced once that there was a patient who said she could not understand me. In fact, she said it after our consultation with one of my Danish colleagues. Then, the next time I had the consultation with her, I had to make sure to emphasize that if there was anything she did not understand, it was important that she would tell me. Language should never be a barrier between me and the patients.” “Perhaps it is also cultural,” reflects Gustav, “but it is very important to understand that it is not rude to ask questions. Actually, in a Danish workplace, you are expected to ask questions if there is anything you do not understand.” “Linguistically, it is hard, but professionally it’s OK,” says Gustav. An important aspect is that it can be hard not to confuse lack of language skills with lack of professional knowledge. “Sometimes, of course, I still lack the words, and then I have to ask a colleague or check the dictionary. So it will probably be quite a while yet. But it’s not because I don’t know it academically. I simply don’t remember the word in Danish, or I haven’t come across it yet, and it’s important that things are said properly to the patient, to avoid misunderstandings. Sometimes it can be difficult to prove that you are a skilled and professionally competent physician although the language is not always in tune. I also continue attending Danish classes in Aalborg a couple of times a week. I’m happy with this, though it is also hard to have to study Danish while I’ve got a new job, a little son, and we have also moved twice in just four months. But it’s going OK,” says Gustav. “Moving to Denmark has certainly been the hardest for Anezca since we had our little daughter Berenika and she was pregnant with our second child. In the Czech Republic it is normal to spend the first 3 years at home with the child and in the beginning, it was hard for Anezka to accept that our daughter would go to nursery school. But now she has started, and she has already settled in well. She goes to sleep like any other Danish child, and among the first things we bought for her was a raincoat and a rain hat,” laughs Gustav. He had been told by his Danish teacher, that this was essential equipment for children in Denmark. Something that also came as a surprise to the couple was that the challenge was not over when they arrived in Denmark, where new issues awaited the couple. How do you buy a new apartment or a house? What if you want to rent? Also, the registration of the couple’s car turned out to be significantly more difficult than expected. “It is much warmer than I had imagined. For example, right now (July) it’s 30 degrees. I had not imagined this.” We ask him not to worry, that the heat will soon come to an end. He has not yet tried the Danish autumn. 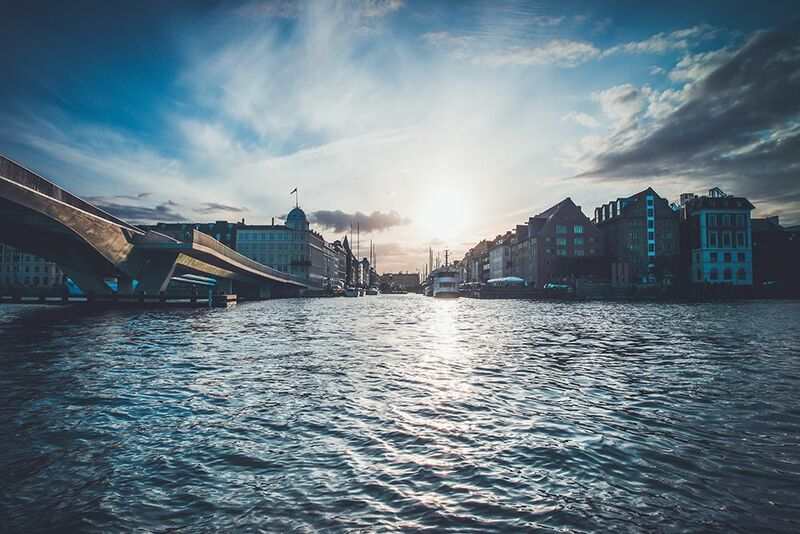 Danes know very well that the weather and conversation about the weather take up a lot a time, also in the workplace – in the summer, we think it is hot and in winter, cold – yes, the Danish weather is a big topic of conversation. They have a small bathroom without a bathtub and then the washing machine in the basement… “One of the things that really surprised me was that Denmark was so different. I had not expected it. For example, in my country, there is almost always a dishwasher and washing machine in the apartment. The Danes share a washing machine, most often in the basement. That was really strange to me. And there is almost never a bathtub. In fact, we discovered that it was very difficult to understand the housing market, something which I had not expected,” Anezka explains. “And then it took me a while to find the products I wanted to buy in the supermarket. Several times I bought the wrong thing. But now it’s better,” she laughs. Anezka agrees: “It is very important that you are positive and motivated. The whole process is lengthy: Visits to Denmark, the intensive language course and then the move. But the main thing is that you should keep in mind that it also takes time to settle in Denmark. It’s also important that you aren’t shy, but that you always ask if you are unsure about anything. It’s a different culture, and it can sometimes be hard to know what to ask for, and it can also be difficult for Danes to help because they also don’t always know what is different in their country,” Anezka comments. Now, almost four months after their arrival in Aalborg, they feel that are finally settled. They are enjoying their new life as a family in northern Jutland and plan to stay in Denmark for many years.